Please fill out ALL fields of this form. If you would like to register more than two children, please fill out the form again. 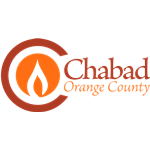 If you have any questions or concerns you'd like to discuss with us feel free to contact our director, Chana, at 845-662-6604 or Chana@ChabadOrange.com. What are some of the goals you hope your child will achieve through attending the camp? * Email allows us to communicate in the most efficient and economical manner. The fee for camp must be paid two weeks before camp begins. We believe that every Jewish child should experience the joys of a Jewish summer camp. A limited number of scholarships are available upon request. Call our office at 845-782-2770 to request scholarship. $30 Referral discounts – If you refer a new camper to Camp Gan Israel and they register for the full week, you will receive $30 off. A "new" family qualifies as a child who is Jewish has not yet attended Camp Gan Israel or Chabad Hebrew School. This offer is unlimited (Refer 6 new campers and come free!). Please Note: We plan for each camper who enrolls. Chabad does not refund payment for days missed. We look forward to a wonderful summer of creativity, learning and fun!